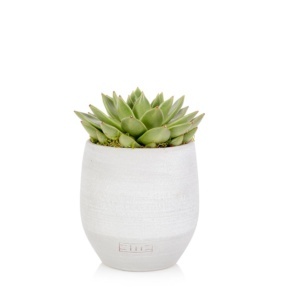 This well known and loved succulent that has been in most homes for decades! Native to South Africa, the Crassula (aka Jade Plant) is a group of succulents made up of over 200 species. 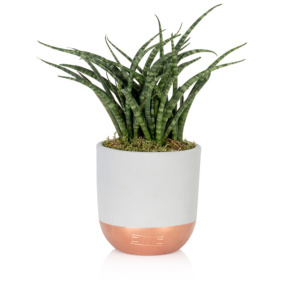 With thick, shiny leaves this plant will go on forever given just a little bit of care. Usually, a much darker green although some plants come through with tips of yellow and red, and change in the sunlight over time. These almost miniature trees are made up of lots of petal-like leaves add just a little more height than our other succulent varieties, meaning when grouped together you create height and texture to the feature. 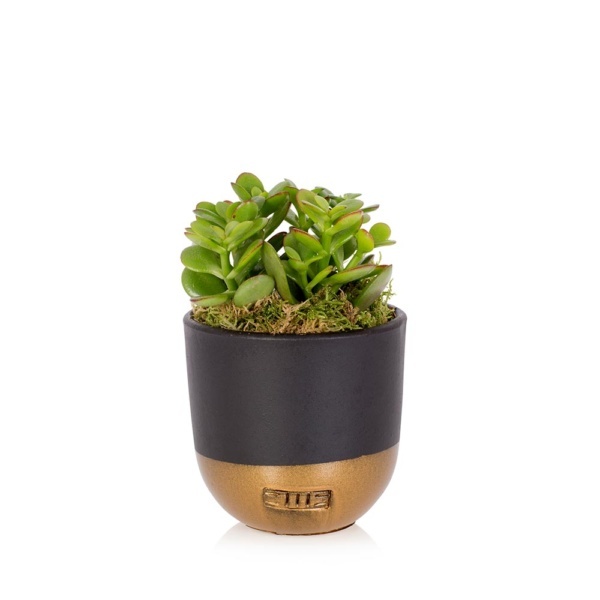 Planted in our signature black and gold pots, these Crassulas really will bring interest to wherever they are placed. Do not water the leaves. A very tiny bit of water can be put under the leaves, straight into the soil. But we do not recommend doing this more than once a month. The moss can be kept fresh with a light sprinkling of water or a spray. 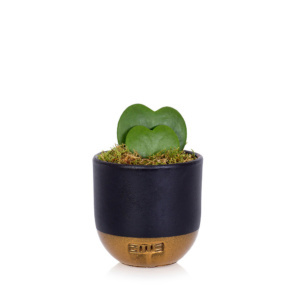 With my thick, shiny, smooth leaves and planted into a bespoke black and gold ceramic let me bring a little bit of green into your home!